EUCLID, Ohio (AP) — Campaigning in the backyard of America's auto industry, Mitt Romney re-ignited the bailout debate by suggesting he deserves "a lot of credit" for the recent successes of the nation's largest car companies. That claims comes in spite of his stance that Detroit should have been allowed to go bankrupt. The presumptive Republican presidential nominee told a Cleveland television station on Monday that President Barack Obama followed his lead when he ushered auto companies through a managed bankruptcy soon after taking office. "I pushed the idea of a managed bankruptcy, and finally when that was done, and help was given, the companies got back on their feet," Romney said in an interview inside a Cleveland-area auto parts maker. "So, I'll take a lot of credit for the fact that this industry has come back." Romney has repeatedly argued that Obama ultimately took his advice on the auto industry's woes of 2008 and 2009. But he went further on Monday by saying he deserves credit for its ultimate turnaround. The course Romney advocated differed greatly from the one that was ultimately taken. 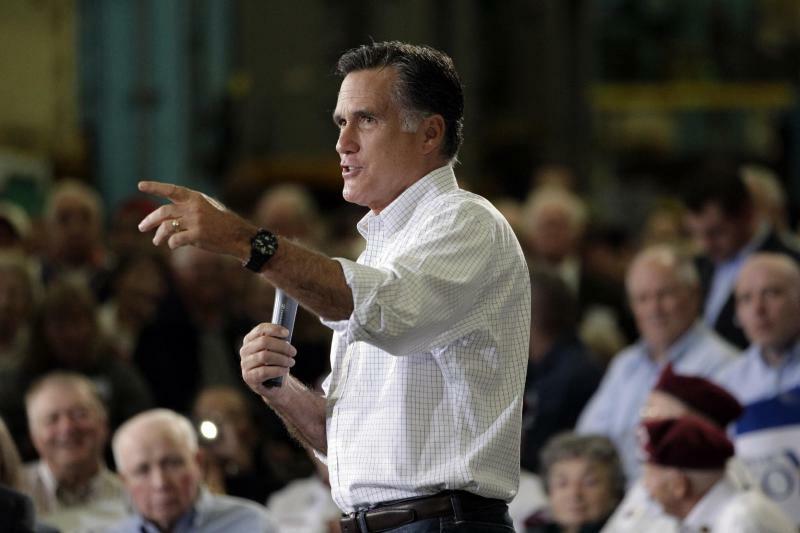 GM and Chrysler went into bankruptcy on the strength of a massive bailout that Romney opposed. Neither Republican President George W. Bush nor Democratic President Barack Obama believed the automakers would have survived without that backup from taxpayers. "If General Motors, Ford and Chrysler get the bailout that their chief executives asked for yesterday, you can kiss the American automotive industry goodbye," Romney wrote in a November 2008 opinion article in the New York Times. "It won't go overnight, but its demise will be virtually guaranteed." General Motors posted a record profit last year. The issue is critical in at least two general election swing states: Ohio and Michigan, where the auto bailouts are popular among some Republicans and Democrats. The Obama campaign pounced on Romney's statement Monday night, calling it "a new low in dishonesty" and calling on him to have "the courage and integrity" to admit he was wrong. Romney is scheduled to campaign in Michigan on Tuesday.